I'm not going to lie, the last few weeks have been rough. And, unfortunately, not in the "I really wish my pants had an elastic waistband" or "guess I forgot to drink water last night" kind of way. Well, ok, there was a bit of that. Truth be told, there has been a lot of good, a lot of fun and laughter. But there has also been illnesses, injuries, loss and sadness. A few too many moments where I thought to myself, maybe if I just go back to bed now, I'll wake up and it'll all be over. As I'm getting ready to fly back home to be with family, I'm taking a few moments to treasure the good memories, and try to forget everything else. A few weeks ago, I was looking at some left over Cascade 128 Superwash merino wool sitting on my desk, thinking that this delightfully soft yarn should be put to good use. 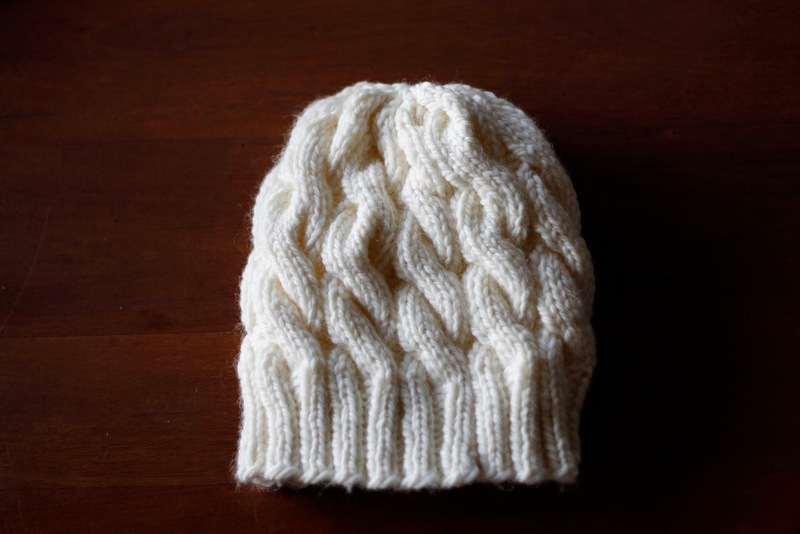 I decided to knit a cable hat, and chose the adorable Close Cable hat pattern by Anna & Heidi Pickles. 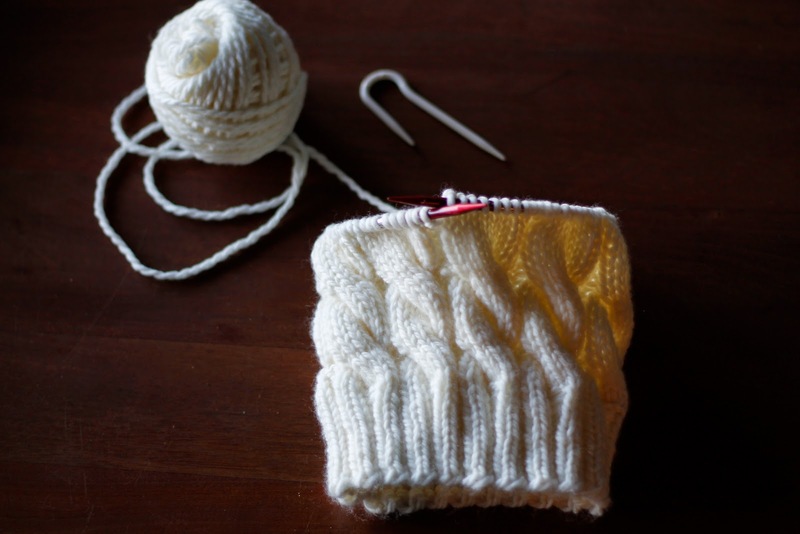 I knitted the pattern exactly as written, and found that it ended up being a bit too small for me. My mother would tell you that I have a large head, which I'm not sure if it's true. Seems proportional to me. 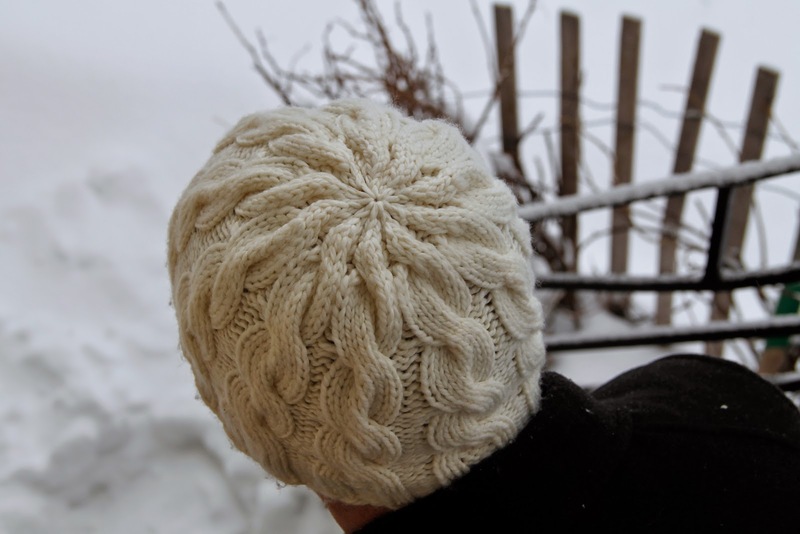 If I was to make it again, I would go up a needle size, and maybe add 1/2" to the ribbed brim. 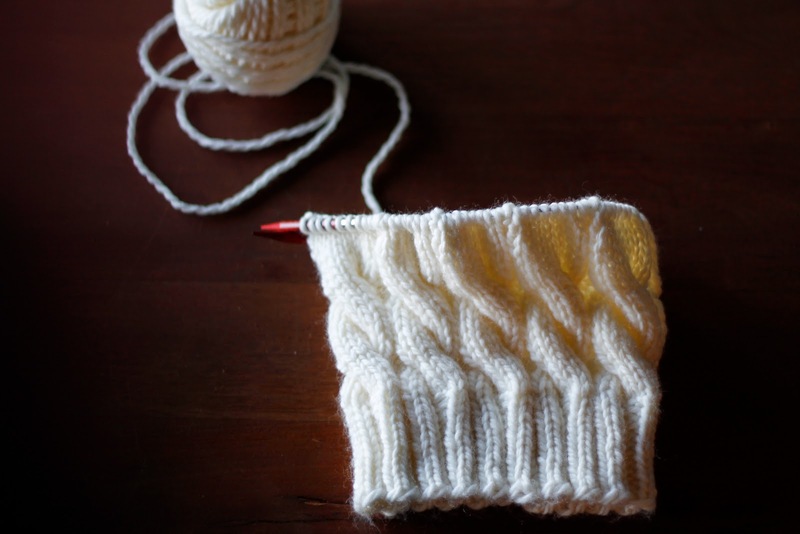 Graham was quite impressed with the cable pattern, and loved the feel of the yarn. He quickly offered to "stretch it out" for me, by which he seemed to mean that he would wear it non stop for weeks. Guess I'm not getting my hat back after all.